I’m working on a watercolor wedding for a fabulous couple on September 25 at The Postcard Inn in St Pete Beach, FL (we’re also doing the event design for this as well!). 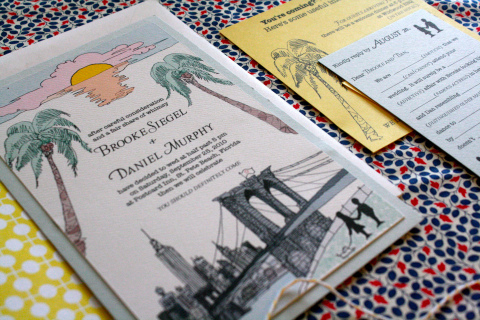 The setting is a renovated surf motel on the beach and we’re using retro elements to tie in an old Florida feeling…and obviously, lots of postcards. 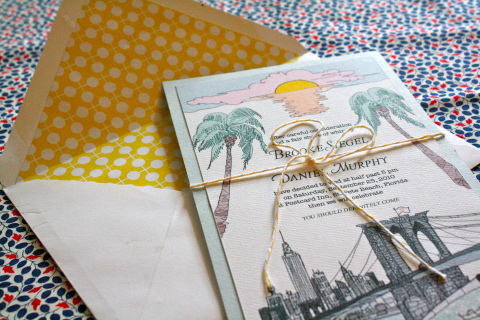 Details to come but here is the hand-drawn invitation we made for them. 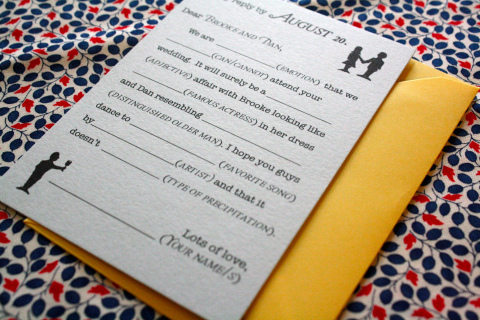 I love the madlibs RSVP card that illustrate Brooke and Dan’s cheeky side.